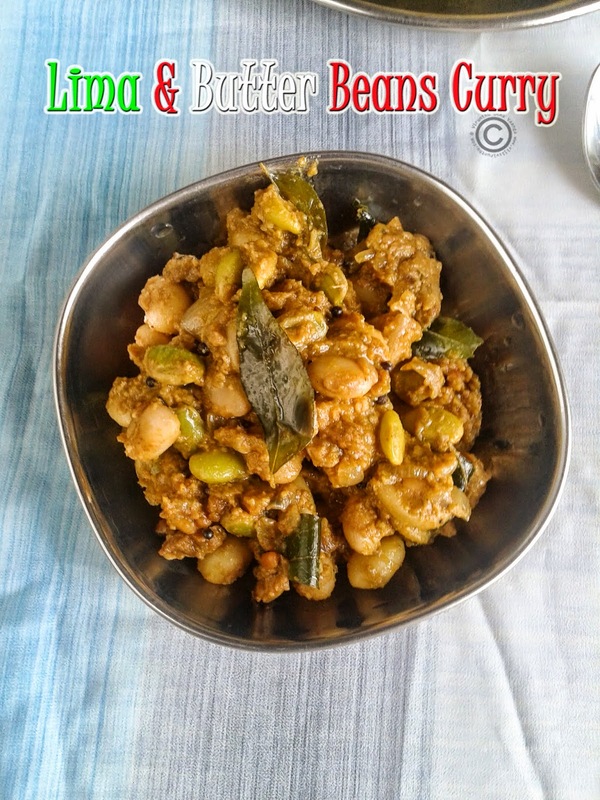 Lima beans (Mochai) and butter beans curry with coconut flavor. In my place I can get fresh mochai and butter beans. I have seen that many of us, confused with lima beans and butter beans whether its same or different… Yes! 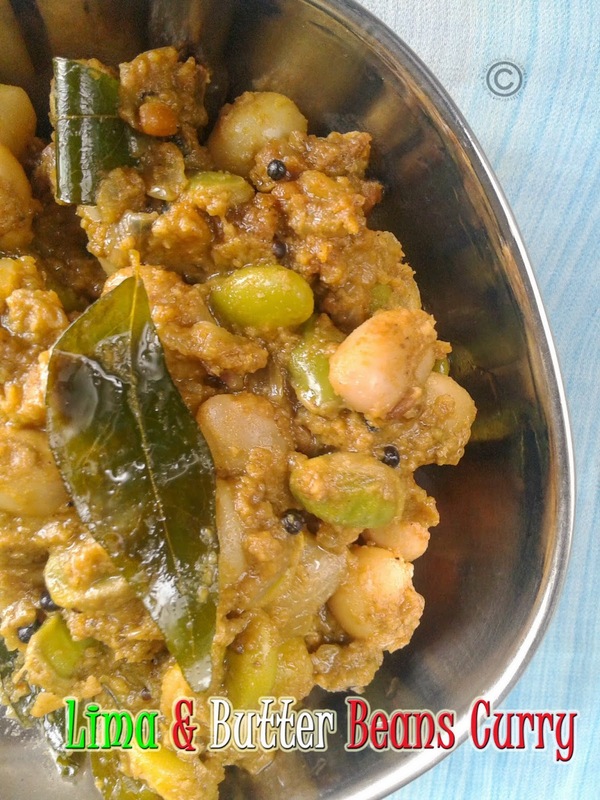 Its different lima beans is mochai in Tamil and it looks green in color and flat texture. Butter beans will be in white color, round texture and buttery in taste. 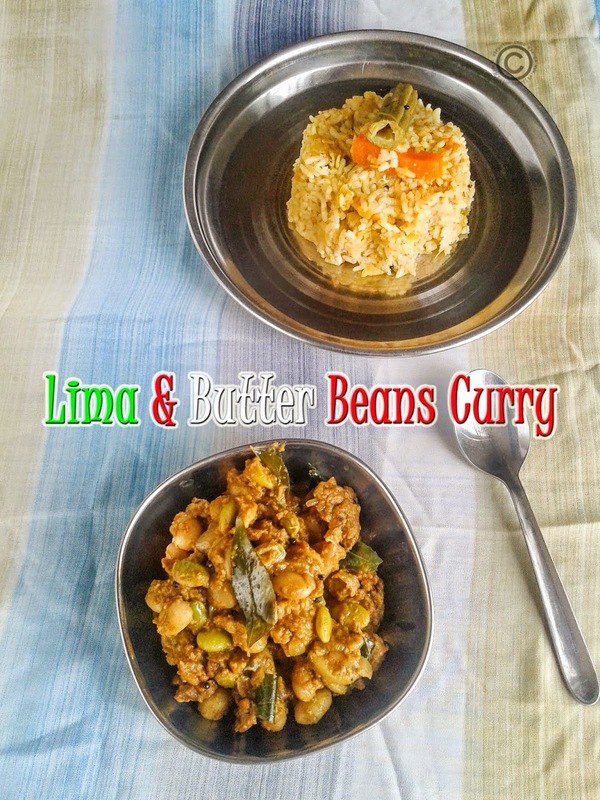 Pressure cook the lima and butter beans together upto 2 whistles and keep it aside. Grind the ingredients under to grind with little water into coarse paste. Heat oil in pan; add mustard and urad dal wait for sputter. Add onion and curry leaves sauté it till translucent. Now release the pressure in the cooker, add the beans with the stock. Let it boil for 2 minutes or until the water reduces into 3/4th. Now add the ground paste and mix it well and allow cooking till the water evaporates from the mixture. You can use either one beans or mixed up your favorite beans like rajma, chickpeas or green peas. 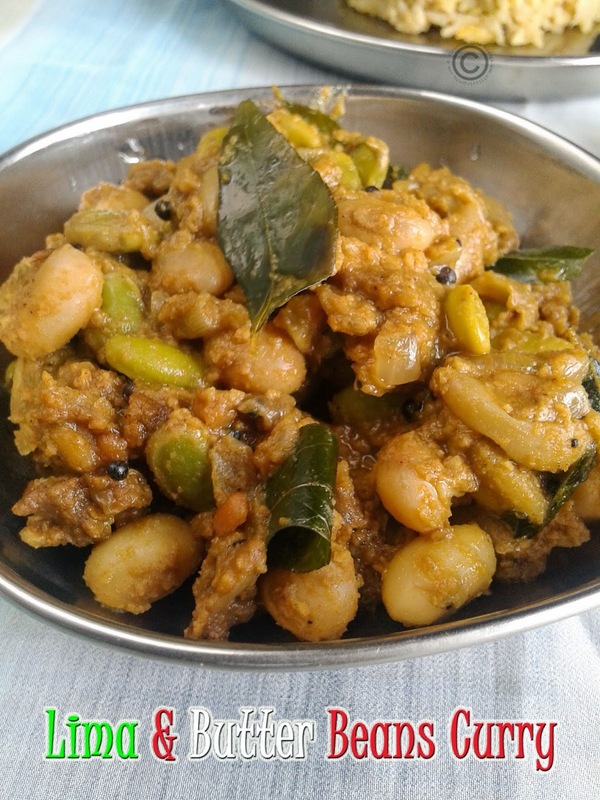 Adding the beans stock is optional, if you want very dry curry don’t add the stock. If you need gravy consistency, add the stock according to the consistency and when its in gravy consistency switch off the flame. Sounds very flavorful and delicious..